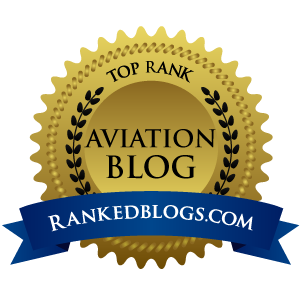 I have been to EAA Airventure Oshkosh a total of six times, and this is the first year in my recent past that I will have to miss the world’s biggest aviation celebration. 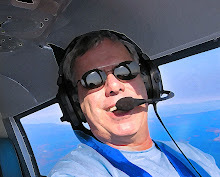 I have some major family obligations this summer that while wonderful and glorious, will preclude my annual pilgrimage to visit my other family…my aviation family. If you have ever been lucky enough to make the show, you know why I refer to the people there as my aviation family. 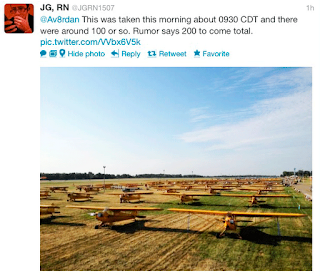 "Close" does not accurately describe the camaraderie of aviators at Oshkosh during Airventure. It is as if we are all of one mind, one spirit, with one goal…to celebrate our flying machines and anything related to them. 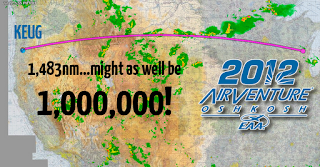 Missing the show this year is necessary in my world, but I have been planning well for the incredibly hard challenge of not letting the jealousy of those who are at #OSH12 consume me. Anyone who knows Av8rdan, Airplanista, or whatever you call me, knows there is 100LL in my veins, and since Oshkosh week is as close to a religious experience as anything in the world for the people who attend, missing it is like missing some sort of Exodus to a magic temple of truth high on some spiritual astroplane. I thought I could just cruise this show week, kind of ignoring it all, go on with my life. 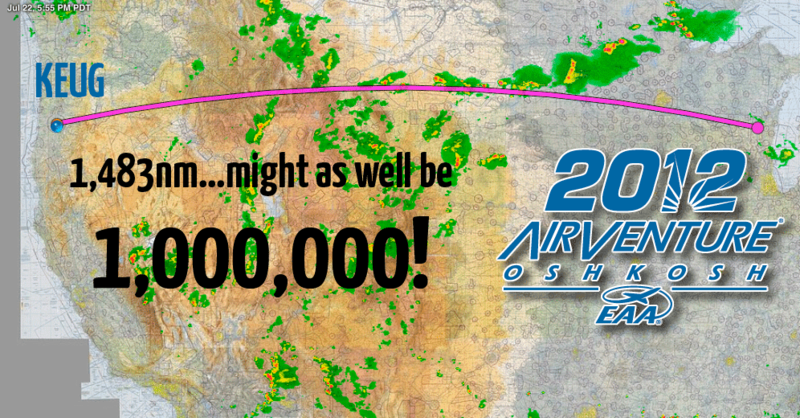 Today is Sunday, July 22, what is called “Day 0” of Oshkosh...the day before opening day. Many in the aviation family are already there, but in the skies over Fisk, Ripon and the City of Oshkosh, thousands of airplanes of all shapes, sizes, speeds, makes and models are sliding down the railroad tracks on a VFR arrival that is a perfectly choreographed ballet of aviation functionality. As people arrive at the show, you can listen on LiveATC.net and find a flight of six Piper Cubs in trail of a Cirrus, who is following a Grand Caravan amphibian who has the Command-Aire biplane a half-mile in front in sight. At 1,800’ MSL and 90 knots, the conga line says nothing while rocking their wings when asked, and usually enters a right downwind to runway 27 or a left base to 36. After being handed off to KOSH’s Tower controllers, they are cleared one-by-one to land with a “White Cessna high-wing, cleared to land in the green (or pink) dot, and welcome to Oshkosh, enjoy the show.” It happens like that until every space you can park a GA airplane at Wittman Regional Airport is full, along with every ramp from Appleton to Fond du Lac. Today, the Oshkosh bug hit me hard, and I was overcome with a sort of quiet jealous rage as I watched my aviation family begin another incredible week at Airventure. So I decided to write this post as a way to let everyone who is NOT at Oshkosh right now try to understand what is happening back there. I will try to comment throughout the week on what I can see from afar, and what I suspect the emotions are of those who ARE at the show. • @PilotConway told us via Twitter that there were “a lot of technology geeks here at #CampBacon.” If you know my aviation family, you’ve heard of Camp Bacon, the creation of @AirPigz. It is a sort of base camp for the #AvGeek community at Oshkosh, where tweeps like @AdamCanFly, @pilot2b, @PilotDamon @larryoverstreet and @CFIStew can be found recharging their endless aviation communication gadgets, gizmos and inventions, talking airplanes, and eating bacon, lots of bacon. 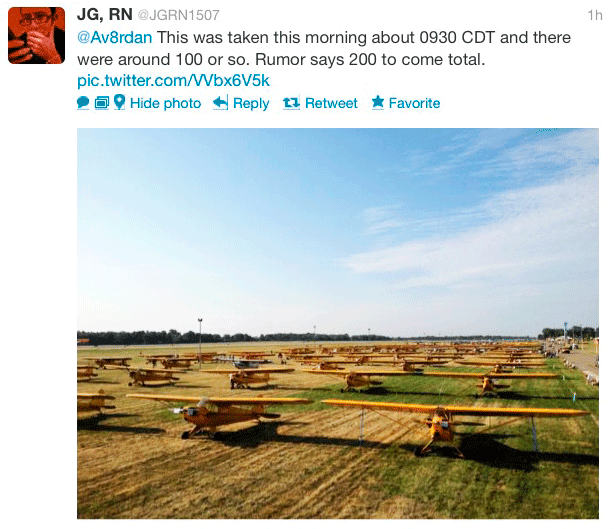 • @JGRN1507 tweeted that there were at least 100 beautiful yellow Piper Cubs parked wingtip to wingtip to celebrate 75 years of the make/model…with a rumored 200 possible before the show closes. In just a few minutes on Twitter, I was able to tease myself into a frenzy, prompting this post. If I did not have a major family obligation this summer, I certainly would be back there with my aviation family, hanging with those great Wisconsin people, eating the world’s best (IMHO) burger at Ardy and Ed’s, and walking the grounds until my feet bleed.